That is indeed an Aloe. Kelly Griffin is a hybridizer who's developed lots of beautiful Aloes. They are described as 'impressionist paintings' - for good reason. See more about the group of them here; Bing image search of Kelly Griffin Hybrids. This one looks like the one called Aloe 'Blizzard'. 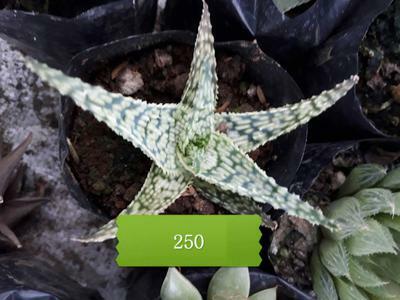 See more about this genus here; Aloe Succulent Plants.